I Have Been in an Auto Accident, How Do I Provide Evidence for my Claim? Every year, millions of people suffer from injuries in auto accidents. Most of these accidents are preventable and there is usually someone to blame. If you have been involved in an auto accident, you need to get the compensation you deserve to help pay medical bills, attorney fees and other expenses that stem from the accident. Being involved in an auto accident and suffering from an injury can cause multiple issues. After dealing with your injuries, you want to meet with an experienced personal injury attorney to start your claim. Since this can be an overwhelming experience, a skilled attorney will lead you in the right direction and make sure you have all of the evidence you need to successfully file and win your claim. Most accidents are caused by drunk driving, distracted driving, aggressive driving, speeding, and automobile defects. Injuries can range from minor to severe and even death. Since most of these accidents are preventable, someone must be held liable. To receive compensation from an injury in an auto accident, you need to file a claim providing evidence. A personal injury attorney will gather all of the evidence needed to win your claim like medical documents, police reports, and any other official reports that detail the accident and proves fault, along with interviewing witnesses. On top of gathering and safely storing these important documents, an attorney will deal with the insurance companies to prevent any unfair settlements and always negotiate to get you the best settlement possible. Remember, always report an accident right away and file a claim as soon as possible as some states have limitations on how long you can file a claim. 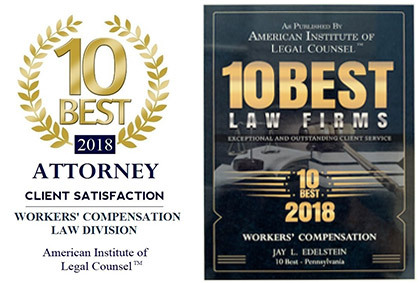 If you have been injured in an auto accident, a personal injury lawyer like Jay Edelstein will fight to bring you justice and get you the compensation you deserve. Our team of Philadelphia personal injury lawyers has the experience, the in-depth knowledge, as well the necessary resources to deal with the large insurance companies and corporations who will attempt to deny your personal injury claim.